Transforming glass elements for wedding decor has become a popular trend. As a luxury estate rental, The Estate understands that there are many ways to mix glass vessels of various sizes and shapes to create a stunningly elegant aesthetic for ceremonies and receptions. This entry was posted in Catering, Floral Design on April 3, 2014 by Estate. Deciding on your Atlanta wedding venue should be done with care. Asking the appropriate questions is necessary to get the information that you need to provide your guest with a wonderful and memorable experience. One of the first steps to planning your beautiful a wedding is to select a venue that will suit your needs and the needs of your guest. Choosing an Atlanta venue that provides many of the services that your event requires is a great solution. You will appreciate the personal touch that is provided as well as the convenience. When deciding if an Atlanta wedding venue is the right fit for you, there are several questions that you should ask. Is the Venue Available For the Date of My Wedding? This is the first question that you should ask. Your date may be flexible, but many times, the bride and groom decide on a specific date for personal reasons, and you should be sure that your venue is available for your special day. Of course, it is helpful if you do have some flexibility. What Is the Maximum Number of Guests that You Can Accommodate? Knowing the maximum number of guests that your Atlanta venue can accommodate helps you decide on the length of your guest list. How Much Can I expect To Pay for the Space? The cost of your venue can be a large part of your wedding budget, and once you have discussed all the services that your Atlanta venue provides then you can arrive at a figure and use that as a benchmark when making other wedding plan decisions. What Are the Hours That the Space is Available? Once you have set your date you now need to decide the hours of your festivities. You will need to know the operating hours of your venue. Do not forget to figure in set-up and tear-down times. Are Accommodations Provided for the Bridal Party and the Groomsmen to Prepare For the Wedding? Choosing an Atlanta venue that provides intimate, private areas for the wedding party to change and prepare for the event brings a more relaxed feel to the day. Does your Atlanta venue provide quality catering that will provide your guest with beautifully presented and delicious food? On-site catering is a wonderful option that can take the worry out of your reception menu. 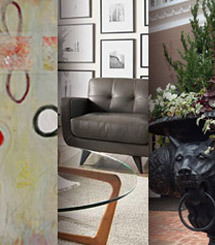 Do You Offer Any Décor Services? Ask if your Atlanta wedding venue provides decorating services. This service may be provided and with the knowledge that the on-site decorating team has of the venue and guests needs they can provide a unique and special experience providing everything from tabletop decorations, lighting, and even floral services. Is Music and Sound Equipment Provided? Music is important for your special day. Your venue may provide music along with in-house sound equipment. You should also ask if there is a noise ordinance to be concerned with. Music may not be allowed after a certain hour and there may also be restrictions on the decibel level. Your Atlanta venue may offer special and unique services such as transportation for guest from the ceremony location to the reception. They may have an in-house photographer, DJ, or other service providers. 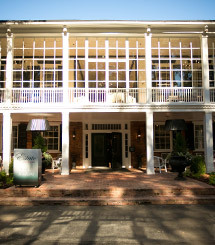 The Estate is an incredible Atlanta wedding venue that will help your dreams come true. They offer event catering provided by their award winning culinary chefs, a design team that has been featured in renowned publications, and floral design artists who can create a breathtaking, memorable atmosphere as well as other services. The Estate offers exquisite indoor and outdoor wedding spaces designed to meet all your needs and expectations. This entry was posted in Catering, Floral Design and tagged atlanta wedding venues, wedding estate rentals, wedding venues atlanta, wedding venues in atlanta, wedding venues in atlanta ga on September 5, 2013 by Estate.